Hello friends! 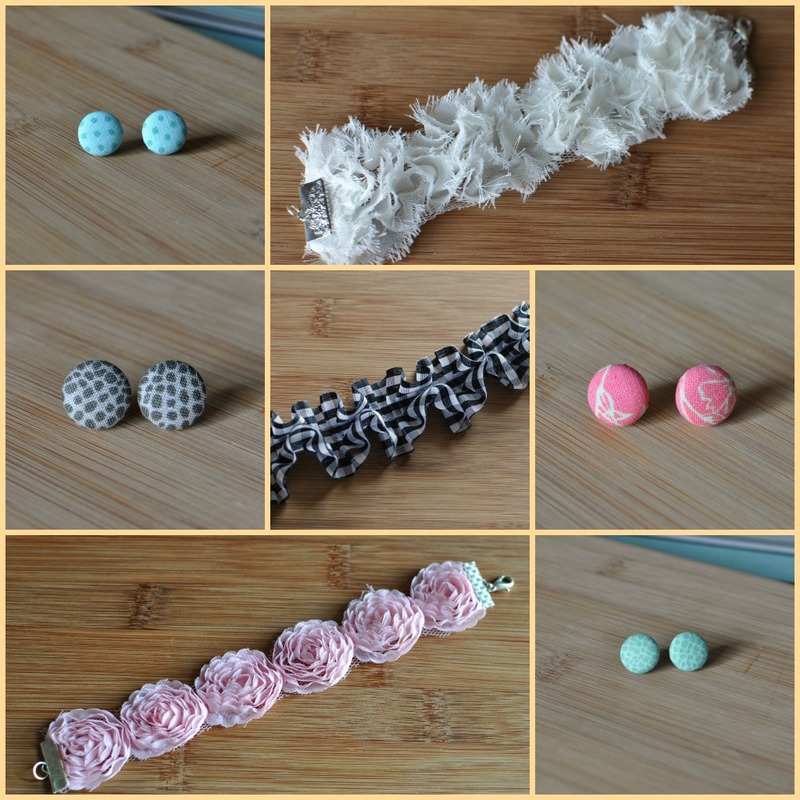 I’ve been hard at work these past few weeks coming up with new designs and pieces to offer in the J’Adorn Designs shop. I’m pleased to say that the first group of items is finally posted for sale! I’ve been experimenting with fabric elements lately, and it’s definitely evident in this new group of pieces. Fabric is such a great way to add a pop of color or interesting pattern to a piece of jewelry that would otherwise be monochromatic or simply metallic. When I haven’t been able to find beads in the colors that I’m craving, I can often satisfy my need with a bolt of fabric for my new creations. What colors and patterns have caught your eye lately? I’d love to hear from you! 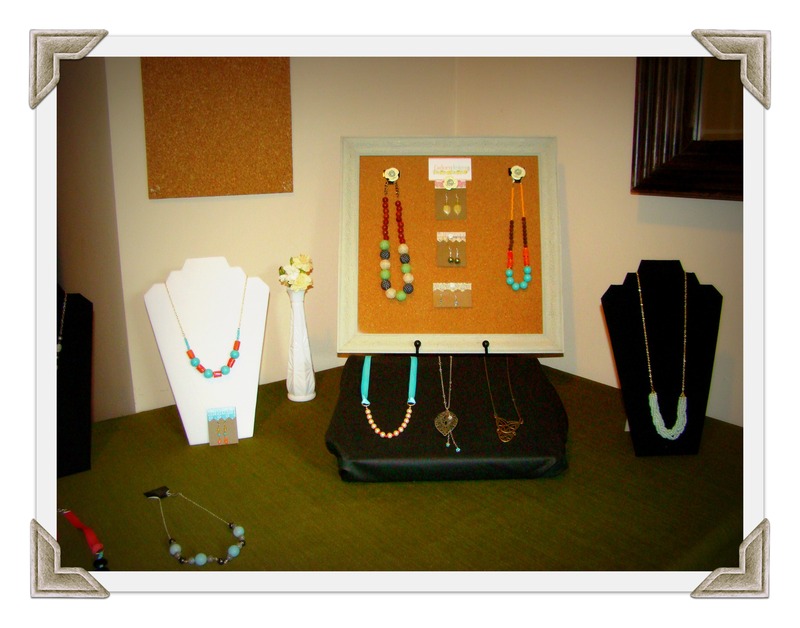 This past Saturday evening, I hosted the official launch party for J’Adorn Designs. It was a huge success, with lots of friends and family coming to enjoy a classy evening filled with food, drinks, good company, and beautiful jewelry. I set up the jewelry in my dining room across a series of displays, with a large mirror in the center to encourage guests to play dress-up. As they took turns filtering in and out of the display area, guests sipped beverages and enjoyed a variety of snacks. The highlight of the menu, though, was the delectable array of cupcakes that my lovely friend Tabi baked for the event. 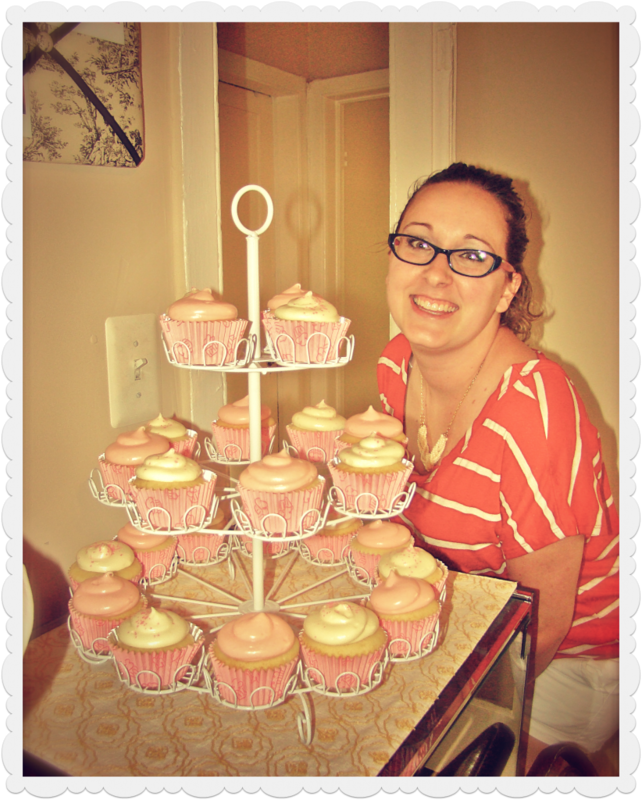 Tabi is a master chef, and her cream cheese frosting is legendary in our group of friends. Everyone raved about how great the cupcakes looked and tasted! Halfway through the party, I gathered everyone together for a champagne toast. 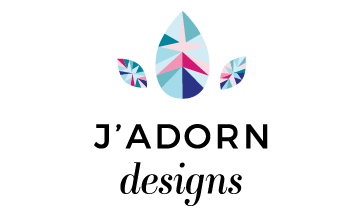 I told the story of how J’Adorn Designs came to be, thanked them all for their overwhelming support, and celebrated the advent of my new business endeavor! After the toast, it was time to shop. Guests enjoyed 20% off of their orders that evening and totally took advantage of the deal! I received so many orders that I think it will take me a good week or more to catch up. It’s a good problem to have! Thank you to all who came out to show your support and love for J’Adorn Designs. 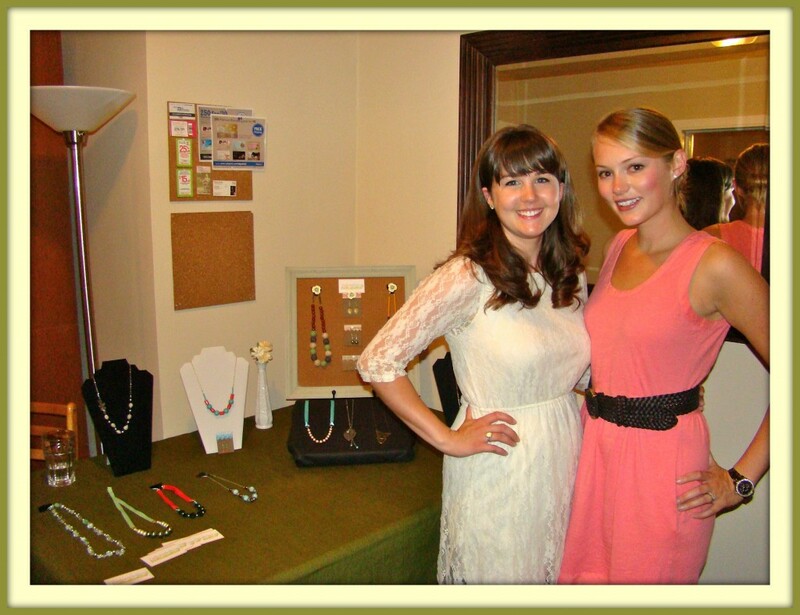 It was truly a wonderful evening for me, and I look forward to many jewelry parties in the future! Above is a photo of me with Betsy, one of my newest friends and a fellow blogger. 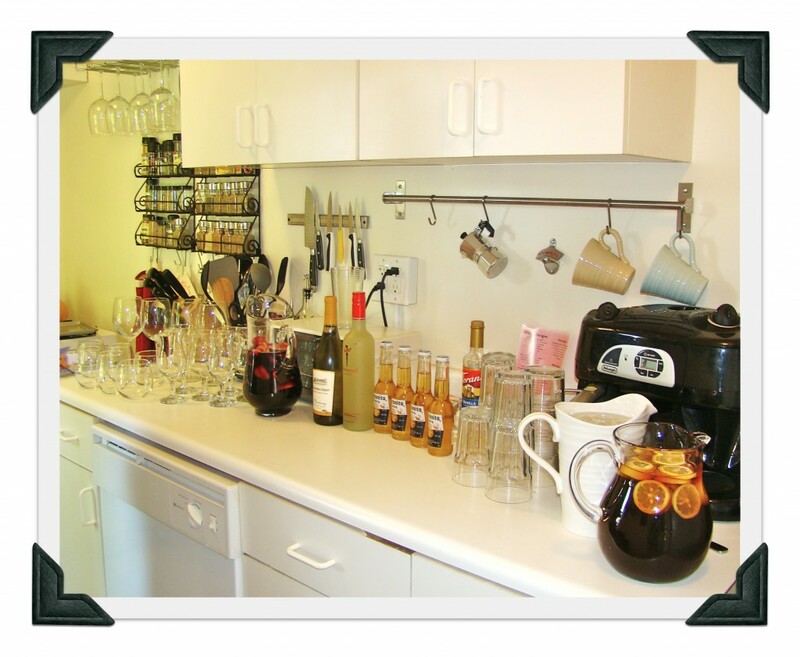 She covered the party, too, at her blog Peony & Gray, which I featured in my last post. 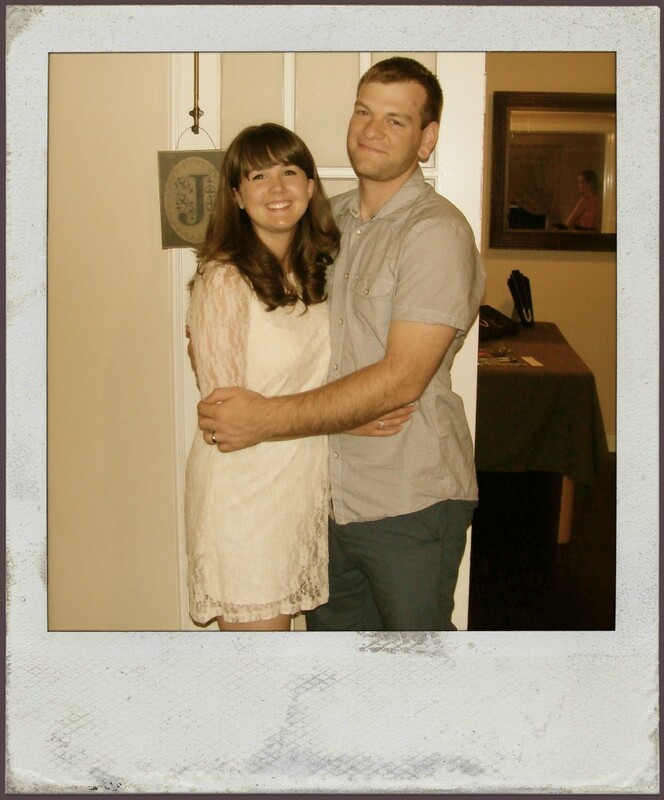 I’d be remiss if I didn’t take a moment to publicly thank my amazing husband. Not only was he a behind-the-scenes rockstar at the launch party, but he has been my personal cheerleader and adviser all along the way as I laid the groundwork for J’Adorn Designs. They say that behind every great man there is a great woman; but I think that the saying goes both ways. I am beyond blessed to have the supportive husband that I do, along with so many other friends and family.